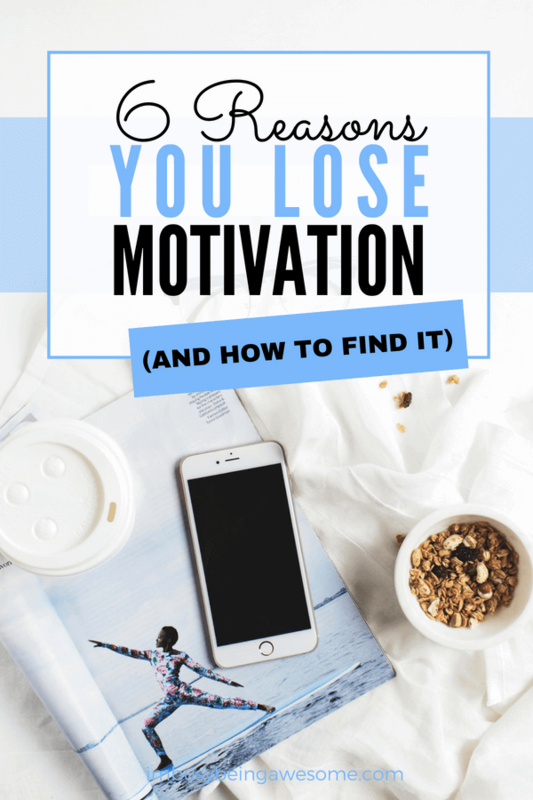 6 Reasons We Lose Motivation, and How to Find It! My productivity tends to go in waves. There will be certain days or weeks where I feel like I’m totally crushing it. Then there are days where almost nothing gets done, and laundry, vacuuming, mowing the lawn, or *gasp* cleaning the bathroom…all sound more interesting than my project for work. Have you been there, too? 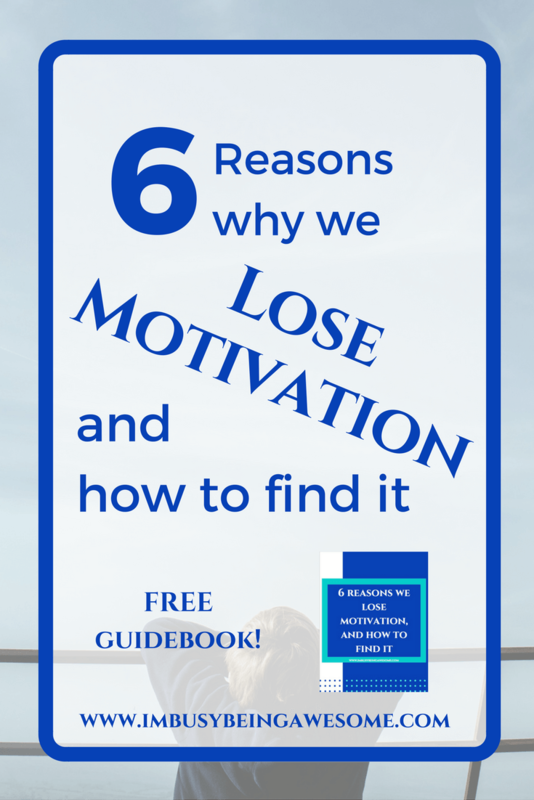 If so, read on to learn the six reasons we lose motivation, and how to find it! 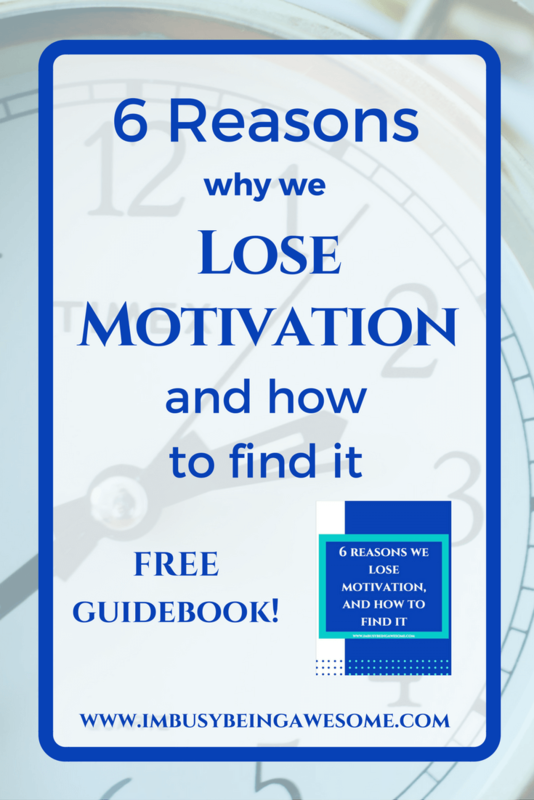 6 Reasons We Lose Motivation, and How to Find It. I often get frustrated with this cycle of productivity, and I find myself asking, “why can’t I maintain consistency?” It seems like there are simply good days and bad days, productive weeks and weeks of struggle, and that there is not any rhyme or reason to the pattern. And occasionally, I believe this is true. Sometimes we are just in a rut, or we are simply having an “off” day. Once I finally identified these six main culprits, I have been able to tackle these challenges much more efficiently. 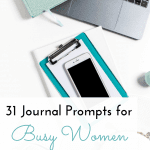 I often run into this roadblock when I am beginning something BIG: a research project, creating a new course, when I am staring at that dreaded blank page on day one of a writing project. Similarly, if I have a massive to-do list and I don’t know where to start, I get that all-too-familiar rush of panic that squelches my motivation. Does this ever happen to you? 1. Begin the day with your most challenging task, but start small. I know this sounds a little contradictory, but hear me out. 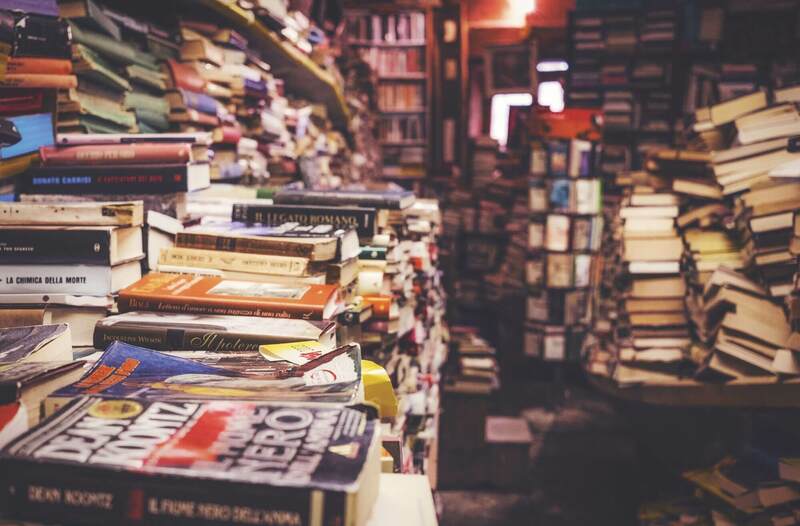 If my task is to begin a new research project, for example, I get incredibly overwhelmed when thinking about everything such a massive process entails. So much so, that I would rather do any other (read, easier) project instead; it makes me feel like I am getting something done, but in reality, I am not working toward the most important goal. So now, instead of wasting my energy on these easier – though less important – tasks, I force myself to work on the most challenging project on my to-do list. The main difference is that I break the monster down into smaller steps. Then, I select one tiny portion of my bigger assignment, and I work on that for the day. By creating a more manageable task, you remove much of the intimidation factor, because you know can complete it in one day. Additionally, you are still working toward your big-picture goal, which makes it easier to muster up the motivation. If you are looking at one of your least favorite things to do, and you simply cannot find the motivation to do it, set a timer. Tell yourself you need to work on this project today, but you only have to do it for 15 minutes, 30 minutes, 60 minutes, etc. Set a time limit, and once your minutes are up, you are done for the day. Again, you have worked toward your goal, you did not put it off, and you are moving in the right direction. Essentially, you are taking the pressure off a little bit. You are creating a realistic goal that, upon completion, provides an important boost of confidence (read motivation!) that keeps you going the next day. Did you complete that hour of research? Did you dominate that smaller task? Then reward yourself for your hard work! Peruse social media for 10-15 minutes, go for a quick walk, make a cup of tea, chat with a friend and share your accomplishment. 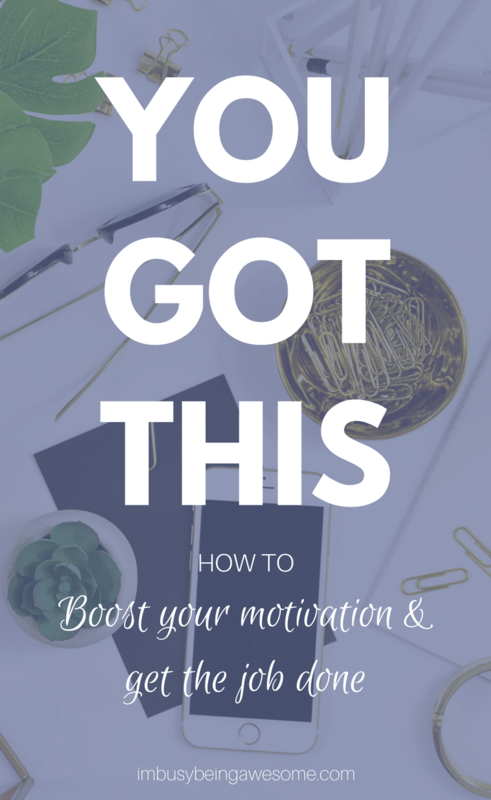 Despite your lack of motivation, you stepped up to the challenge and faced it head-on. That is fantastic! Celebrate it. Think about your accomplishment, and take some time to reflect on why you were dreading the task so much. 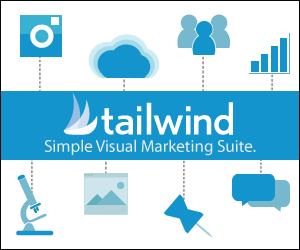 Ask yourself, “was it really so bad once I got started?” Chances are, it wasn’t. The takeaway: keep your steps manageable, and keep yourself moving. Little steps lead to big strides with consistency. My other major motivation crusher happens when I’ve been working non-stop on a project without rest. In other words, I completely burn myself out. You have been there, right? You’re all-in and ready-to-go at first, but then suddenly that drive dissipates; you ran out of gas in the proverbial tank. When this mindset seeps in and restricts my productivity, it is a sign to me that I need a break. So that is number one when you are facing burnout. Take a break. You know the old saying, “You can’t see the forest for the trees?“ I think this statement is especially pertinent here. When I am working incredibly hard on a project, and I suddenly face burnout, I often have trouble seeing the bigger picture. I fall into tunnel vision, and I get swallowed up by the minutiae. This, in turn, leaves me frustrated, overwhelmed, and completely unmotivated. Have you ever experienced anything like this before? I’ve finally learned that when I hit this barrier, I simply need to step back. I need to allow my brain to refresh, so I can return to the project with fresh eyes. 2. Work on something different. I must also note, that stepping away from your project does not mean that you have to stop working completely. 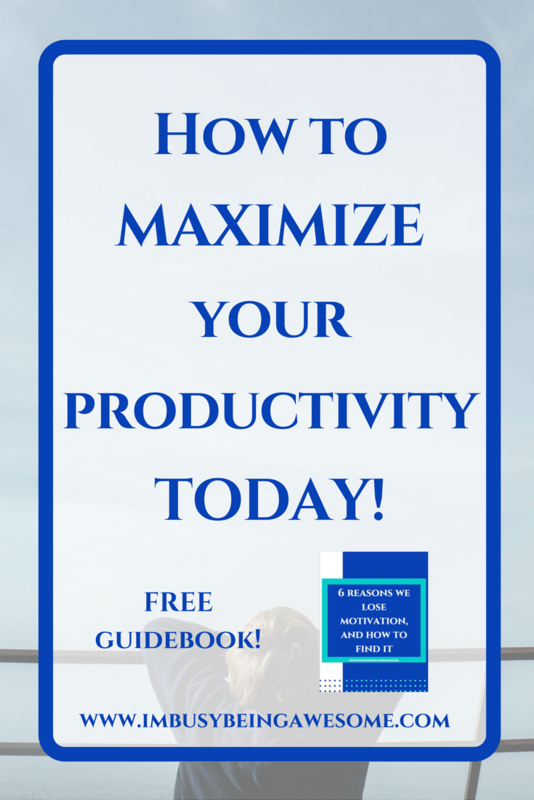 In order to maximize your productivity, try tackling the next project on your to-do list. And when you do, dive in head first. If you completely absorb yourself into something different and forget about the original task at hand, you are giving that portion of your brain a rest while still maintaining your productivity. In other words, it is OKAY to step away. By continuing your work on something else, you’re still moving forward, but also allowing for that much-needed rest. With all of that being said, if you are completely burned out and cannot find the motivation to do anything, then you might simply need a vacation. I completely support this idea, too. Read more about that here. 3. Consider what you have accomplished, and return with fresh eyes. 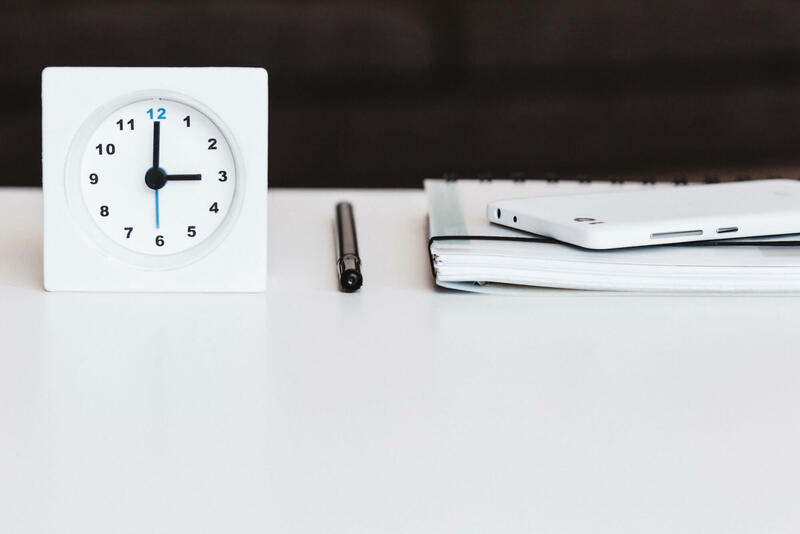 After you have tackled the other items on your to-do list, and you are ready to return to your original project, take a minute and reflect on all that you’ve accomplished. Look at those pages that were causing you such trouble, go back to those lesson plans that were driving you mad, and read through them objectively. Now that you have taken some time away, it is easier to pinpoint problem areas or think of new approaches that you couldn’t see before. Have these tips been helpful? 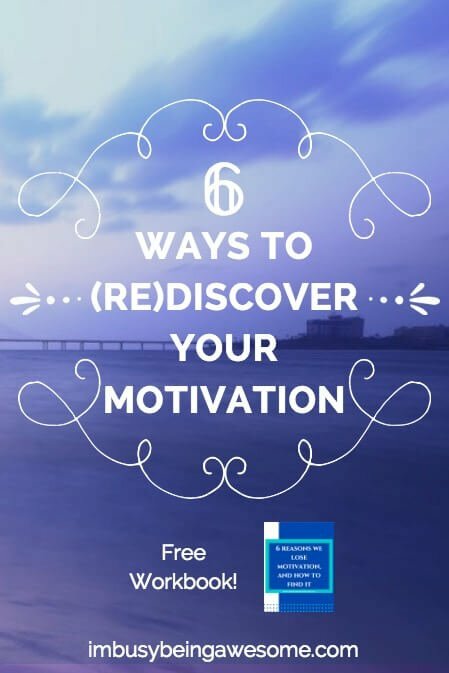 Are you interested in learning how to defeat the other 4 motivation crushers: comparison, disinterest, fear of failure, and impatience then click here for a FREE guide, which will help you rediscover your motivation, increase your drive, and maximize your productivity today! Do you ever reach this burn-out phase? 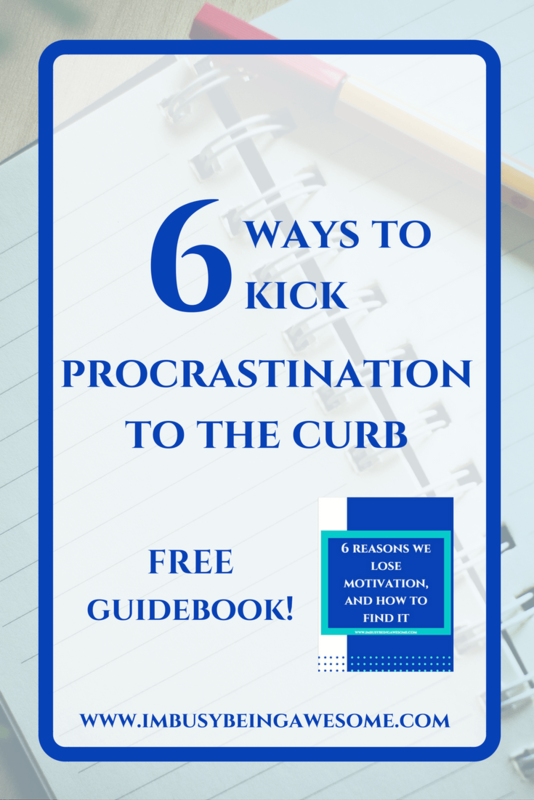 What do you do to keep your motivation up? Let me know below! Taking a break helps a lot. 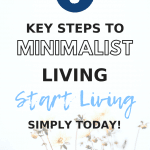 Simple tip but I often forget… Great list! I can relate to this post. Sometimes I have so much in my plate that I hardly have time for myself or my family. Your list is perfect. And it’s true rewarding yourself is great. I have used timer , however I have stop using it . I need to get back to it. Thanks! Yes, rewarding ourselves for accomplishments and sticking with a timer are such helpful strategies for me. These are great tips! I definitely need to set a timer. Thanks! I’ve found a timer is really useful. I am a huge fan of the timer! I also find that my biggest help is learning to say no and not get myself over-committed in the first place. Easier said than done. YES! The timer is so helpful. And I can completely relate – saying no is SO difficult sometimes. I agree with all of the reasons you mentioned here! And I also agree that taking a break really helps to find our motivation back! I really like your list. I have found that when I lose motivation, I cannot FORCE myself to get it back. I have to rest or get out of my head for a little bit. I like the idea of reflecting on what you’ve accomplished too! Yes – it is INCREDIBLY hard (and not very productive) to simply force yourself through the project. With my experience, my work is not nearly as good as when I take some time to rest. Thanks! Taking a break and coming back with fresh eyes always helps me. Great tips! Yes – Taking a break is so helpful. Thanks, Jen! Yes to all of this!!! I find that taking breaks helps me come back stronger. I also like rewarding myself if I accomplish certain items. Wonderful tips, I definitely get distracted very easy especially when working from home! Thank you 😊 I’m so glad you find them helpful! This is such a great post! 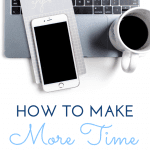 There are so many times where I lose my motivation, but this post breaks down simple ways to fix those moments when I question whether or not I can be productive. Thank you!! I am pretty much ALWAYS motivated – but if I ever do feel a little drained, I know taking a day to just have a good time and not think about work is what I need to do… Or just leaving the city – going on an adventure with my husband always helps! WOW – you need to share your secrets to endless motivation; I’d love to learn them 🙂 I agree – a little time away is always a helpful re-charge. Great tips! I will definitely use these the next time I’m feeling stuck. Thanks for sharing. So true! Loved all of your tips! I seem to so easily forget to reward myself but I am learning to take breaks. Thank you for the reminder. Absolutely 🙂 I’m glad you’re starting to take breaks – that’s wonderful! Setting a timer works so well for me, particularly when I have to do household chores I don’t like. I find it’s much easier to tell myself I only have to be productive and motivated for 15 minutes and then I’m always impressed by how much I’ve been able to accomplish. 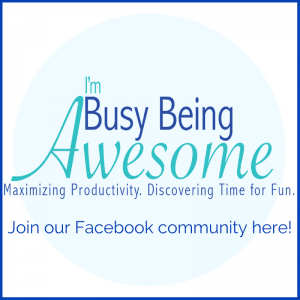 I think I hit the burn out stage this week… Great advice! 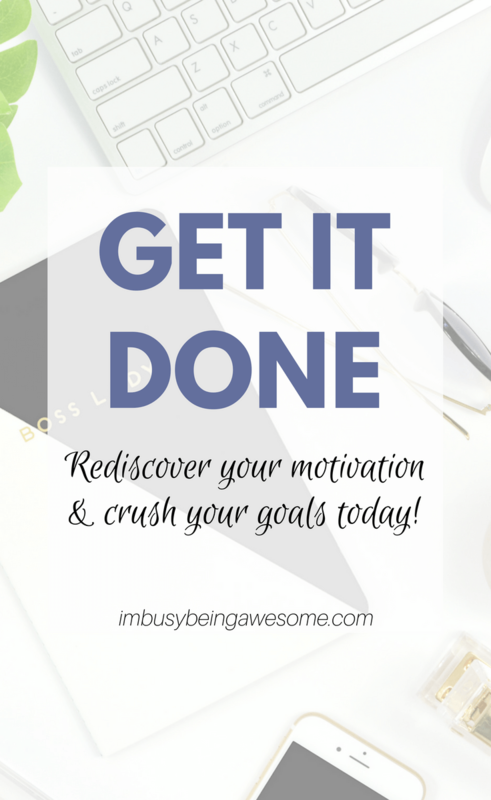 I can definitely relate to your motivation destroyers – I feel a lot of these, too. Thanks for the tips on breaking through feeling overwhelmed! I’m not in the corporate working world but comparison and the fear of failure is so real in mom culture! Great ideas, thanks for sharing! Yes! Those two permeate everything don’t they? Personally I lose my productivity when I get overwhelmed the most. I have to step away from the computer and get back when I am feeling myself again. I loved all your tips. I do practice them all when trying to find my mojo back. 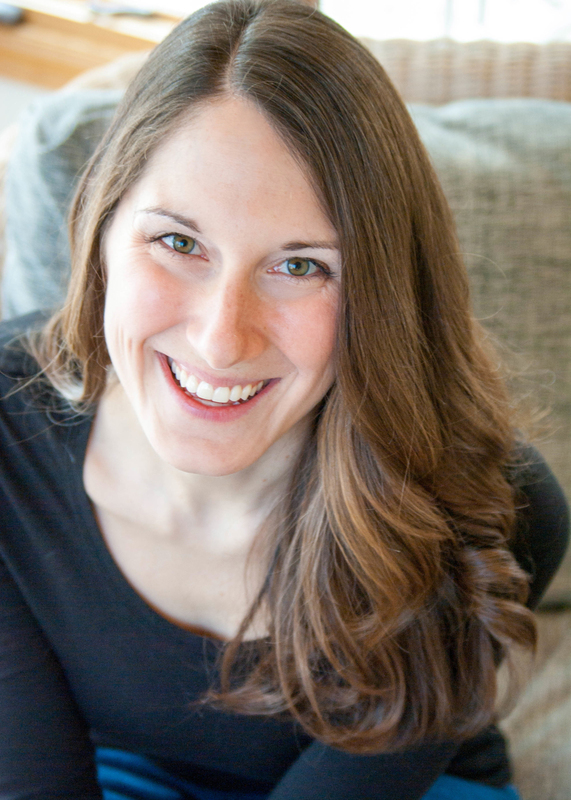 You hit the nail on the head on everything here – burnout is typically the one I deal with! Burn out is such a tricky thing, isn’t it? The message is always “keep working! get it done!” But sometimes the best answer is to step back and hit the refresh button. I totally agree with all of this especially the setting a timer and rewarding yourself!! I do this on a regular basis! These are great tips!! I find myself overwhelmed often and need to find ways to deal with those times better. I could definitely start using my timer more often. Yeah, the timer has been super helpful for me. I hope you like it, too! Oh man, this is me. I often have so much stuff on my plate that I’m often telling myself I don’t have time to take a break. But like you mention, I’ll probably be much more productive if I do! Great tips!! It so helps me to tk a break and reward myself! I love your list! I love setting a timer! It works with writers block too. I will set the timer and just write whatever comes into my mind. Sometimes its good and other times it is just being able to recognize that I wrote for the given amount of time. You have to celebrate the wins no matter how small to stay motivated!